“Functional materials like steel are heavily used, from your mailbox to your doormat to your outdoor furniture and your coat hangers. People think in clean, simple lines and you get this acquired taste. I’ve personally really grown to appreciate it,” he explains. The 1928 Le Corbusier chaise longue and the adjustable height chrome and glass table designed by Eileen Gray in 1927 are now downstairs in the family room. 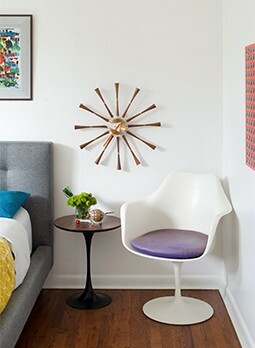 A Hans Wegner steel-and- cord Flag Halyard chair designed in 1950 replaced them. 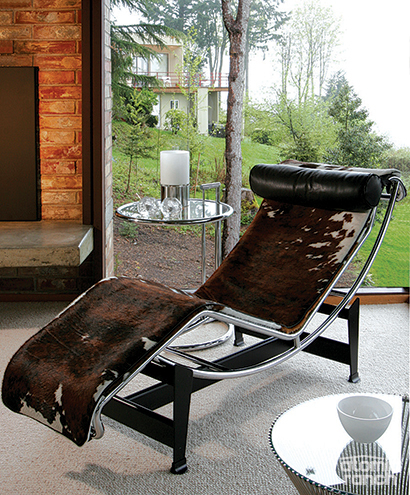 Its leather headrest pillow and sheepskin throw make it a great place for a nap. He notes that even with a favorable exchange rate, by 2008 furniture prices on the Danish auction sites had doubled or tripled. “So it’s still not for everybody,” Linda comments about the notion of mainstream modern. 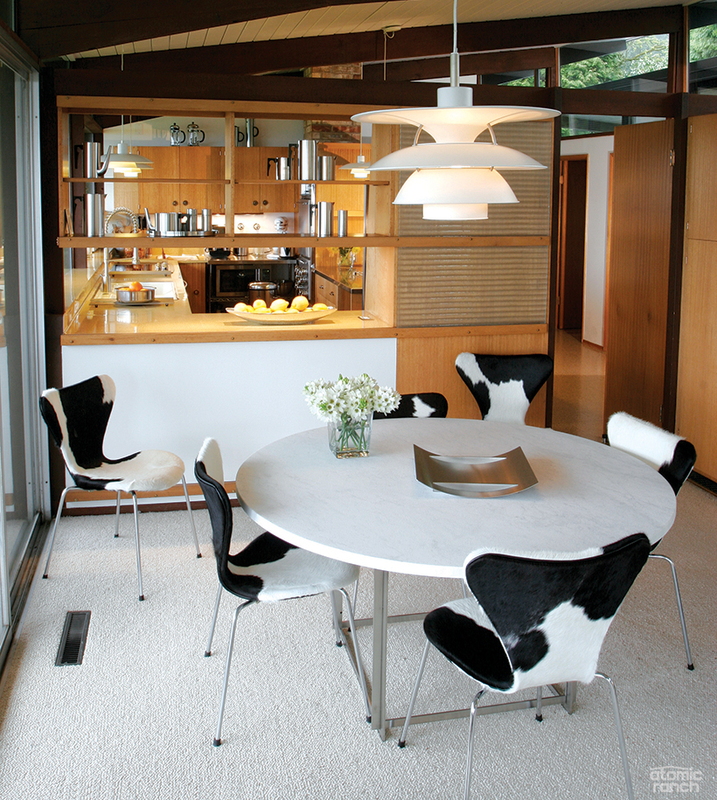 For all their interest in iconic designers, the Mercers aren’t snobs and had IKEA furniture when they were first married as well as now in the kids’ rooms and at their summer home in Denmark. “The Belle Center outside the Copenhagen airport has a permanent exhibition for the Danish furniture industry and an area with nothing but new pieces by designers following in the footsteps of the old designers—attending the same schools, espousing the same ideals—some high end, some doing really simple stuff for IKEA and the like,” says Claus.